1. Who was the boy who was taught to read by the priest Jehoiada? 2. What made this boy sad as he looked around the temple? a) That the temple wasn't looked after because the people didn't care about God's House. b) That there wasn't enough food for everyone to eat. 3. What did this boy prince decide to do when he grew up? a) To build himself a big house. b) To repair God's House, the temple. 4. When he became king did Joash do what he had decided as a boy? 5. 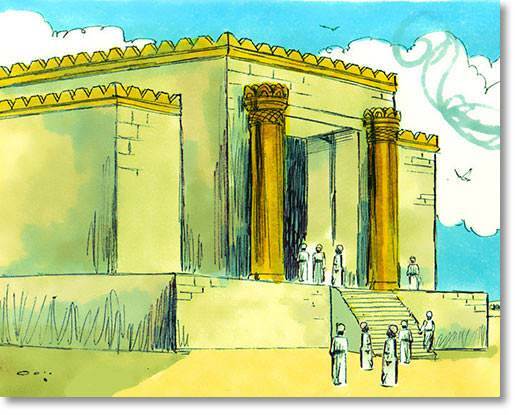 Did the people obey King Joash when he asked them to bring money to repair the temple?